As another amazing year comes to a close, now is the time to reflect on what went well, evaluate what needs to improve, and set goals for 2019! What are your dreams and goals for the New Year? Share your targets so we can help you achieve them! WELCOME ALL NEW MEMBERS – Join us in our live trading rooms! Welcome to the BlackBoxStocks family! To ensure you get the most from your membership, we invite you to join us in one of our live trading rooms. 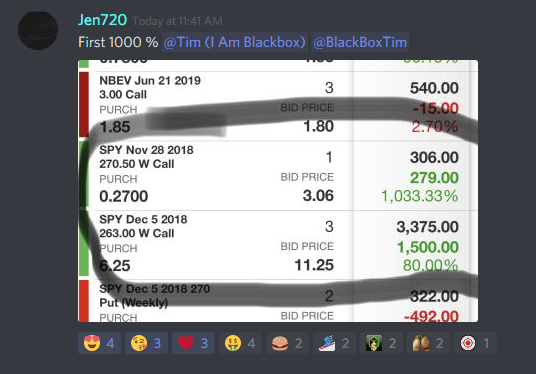 Our options trading room is currently hosted on Discord and our smaller stock trading room is on the main BlackBoxStocks.com site. Our moderators are here to help you get acquainted with BlackBox. Details on how to access the trading rooms are posted daily in the main chat area on BlackBoxStocks.com. If you have any questions, please do not hesitate to ask BB2, Maria (MariaC82), Teresa (Teresa), Jenny (JenBBS), or Teah (Teah1) for assistance. Algo-based OPTIONS Alerts being added to BlackBox – including new BEARISH alerts! Look for the new options alerts on BlackBox under the ‘Alerts’ tab. The new tab includes additional details such as option high price and gain percentages. We have also added new bearish alerts! 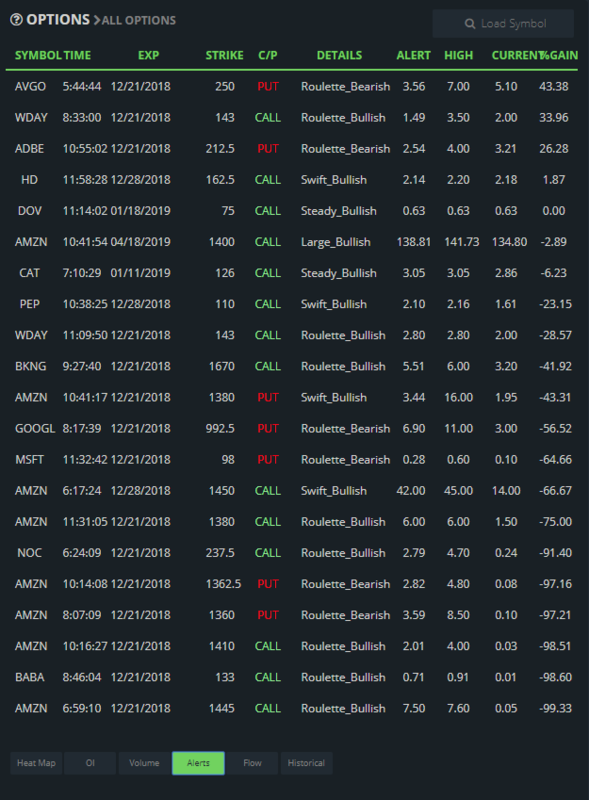 The alert types include:SWIFT BULLISH or BEARISH ALERT: This alert triggers when all of our proprietary alert criteria has been met within a 5-minute window.STEADY BULLISH or BEARISH ALERT: This alert triggers when all of our proprietary alert criteria has been met within a 60-minute window. LARGE BULLISH or BEARISH ALERT: This alert triggers when a yellow call sweep (opening transaction) fills at the Ask and meets the minimum notional amount traded. ROULETTE BULLISH or BEARISH ALERT: This alert triggers when a yellow call sweep (opening transaction) is traded with the current week’s expiration. Please note, these alerts are called roulettes because they are highly speculative. REMEMBER – these alerts are algo-driven! They do not consider technical analysis, news, or market conditions. Please trade these alerts accordingly. To access the stock alert key, simply click the “?” next to the ALERT LOG (on the NASD/NYSE tab). To access the options key, simply click the “?” next to the OPTIONS title (on the Options tab). Watch for new BlackBox classes in 2019! The new BlackBox Boot Camp has been a huge success! We highly recommend new users sign up for this comprehensive, 3-hour introduction to stocks, options, and the BlackBox platform.We are also expanding our education program through a new partnership with The Options Industry Council (OIC). The new OIC classes will be added early next year! More details coming soon! Use the Calendar to research and register for any upcoming classes. 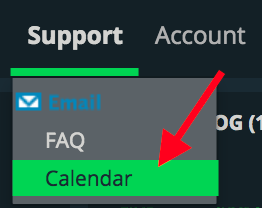 To access the Calendar, log into BlackBoxStocks.com, click Support at the top of the screen, then select Calendar from the drop-down menu! Register for any class you like! Now listen in on all of our trading rooms through the live channels on BlackBox! Simply click on the main menu, select ‘Live Channels’, then select OptionsAudio. Teah’s smaller stock trading room is also available under Live Channels. Are you busy at work and need options alerts pushed to your cell phone? Join our new private Twitter feed today! To join, simply click https://twitter.com/BlackBox_Team, then click “Follow”. 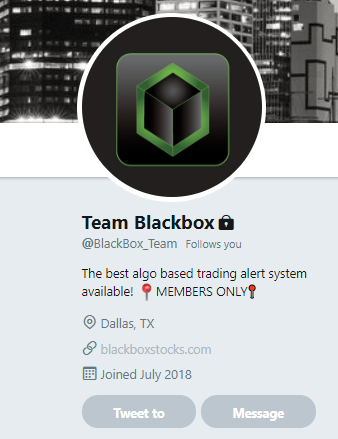 Next, send a direct message to BB2 or Maria and let them know your BlackBoxStocks user ID (the user name you use to log into the BlackBoxStocks platform). Once your membership is confirmed, you will be added to the feed. Use the Twitter settings to ‘turn on mobile notifications’ and alerts will be pushed to your phone! Just a few of the wonderful comments we receive every day! Tastyworks, Inc. and BlackBoxStocks, Inc. are separate, unaffiliated companies and are not responsible for each other’s services and products. For Android platforms, use Google Chrome and select the ‘enable desktop’ option. Understanding Options Flow – https://www.youtube.com/watch?v=y-b1P1aHs5ESubscribe to the BlackBox YouTube channel to see new content as it is added! 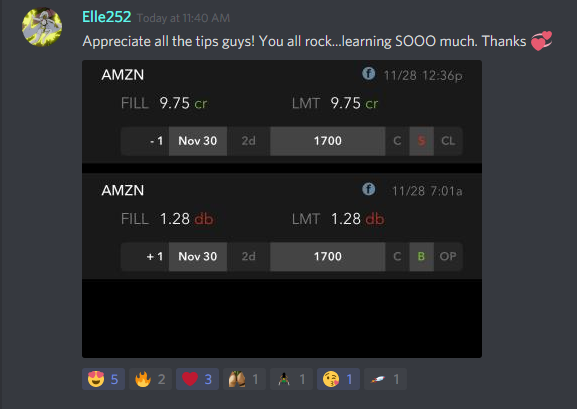 If you aren’t in our live trading rooms, you are missing out! Be sure to join our live options trading room on Discord and trade live with BB2, Maria, Teresa, Naymish, Spectre, Jenny, and the rest of the crew. Hear plays and the reasoning behind the trade, see trade confirmations, and discuss your trade ideas and strategies. The channel is active from pre-market through post-market. Be sure to bring your questions to our Q & A sessions on Tuesdays & Thursdays after the market closes and don’t miss our 100% Fridays! Come join the fun and profits!Teah hosts a live trading room for lower priced stocks on the main BlackBoxStocks site during regular market hours. Subscribe to her live channel to listen in for the next supernova! Do you know someone who needs to upgrade their trading with BlackBox? The BlackBox affiliate program is a great way for you to get paid for referring new members! As an affiliate, you will receive $25 for each month the members you sign up are part of BlackBox! We also pay $250 for every yearly member you refer to Blackbox! Click on the AFFILIATES link on BlackBoxStocks.com to join the program! Trading is challenging, particularly in these market conditions. 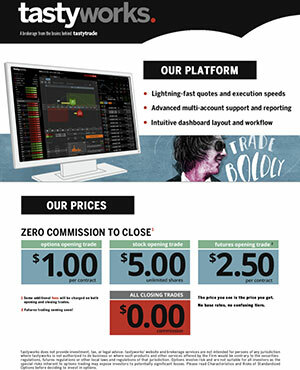 We want all of our members to be profitable traders and we are here to help. If you are struggling, please contact us before you suffer big losses so we can help you get back on the right track. Always feel free to ask questions before entering a trade. Please tag your moderators BB2, Maria (MariaC82), Teresa (Teresa), Jenny (JenBBS), or Teah (Teah1) in main chat so we can quickly answer your questions.Also, follow the BlackBoxStocks team on StockTwits and Twitter for news, watch lists, and updates!